Google’s display network allows advertisers to place display ads or video ads on huge network of sites across the internet. This helps to connect with the customers throughout the digital universe. To view the number of visitors who saw your display ad but had not clicked on it, Google introduced View-Through Conversions. View through conversions helps to measure the online conversions that happened by just viewing the image / video ad but not clicking on it. This feature has been in AdWords for above four years now, and measures the number of conversions that happened within 30 days after a user saw. This Monday Google has announced that by the end of March, the 30 day measure of VTC is about to shrink to 1 day, i.e. 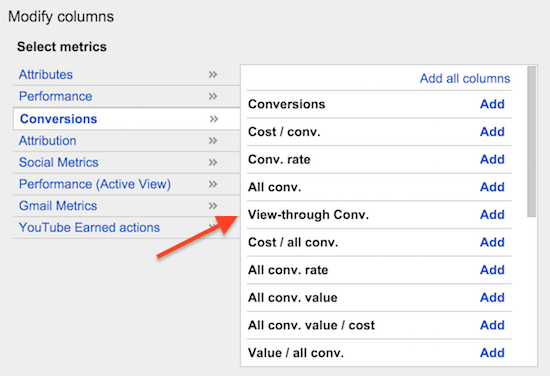 the AdWords’ default view-through conversion window will reduce from 30 days to one day. Both new and existing conversion actions are likely to get updated to this default conversion window. Changes are often made on internet platforms based on what best works for the customers. Analysts have lately identified that views are more likely to lead to a purchase within one day, when the ad is projected fresh to the customers. So this feature may enable better measurement and focus on incremental conversions. Some verticals may need longer time to make conversions after displaying an ad. In such cases advertisers can still be able customize the view-through window setting for each conversion action from Conversions under the Tools tab.